Australian melodic instrumental rock quartet sleepmakeswaves release their acclaimed and unprecedentedly ARIA award nominated (Australia's equivalent of the Grammys) album worldwide today via England's Monotreme Records in an expanded deluxe edition. The entire album is available to share/stream HERE. Merch store for deluxe LPs, CDs and shirts HERE. The band recently shared the first track and an album teaser video. Listen to "In Limbs and Joints" HERE and watch video HERE. 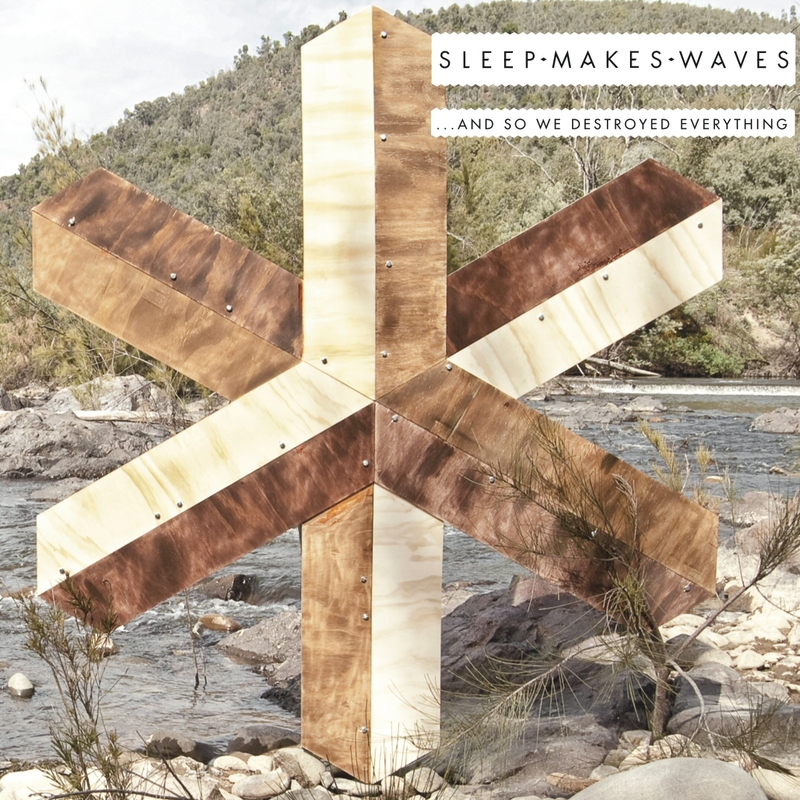 Sleepmakeswaves are currently touring the UK and Europe with electronic-post-rock innovators 65Daysofstatic. Please see complete dates below. The coup for a style of music so often marginalized to earn a level of mainstream respect highlights something truly important about this band: its music is so immersive, powerful and evocative that it, above all else, speaks to people on an individual level, beyond categorization. The strength of great instrumental music is its ability to communicate without the traditional trappings of someone singing about specific emotions. The music itself touches each listener differently. And, as in the case of sleepmakeswaves, there is a symphonic transcendence to the band's sound that encompasses a wide variety of colors -- ranging from ambient soundscapes, to soaring melodic hooks and moments of dark, brooding intensity. There are electronic layers interwoven with slow-burning builds, churning metallic riffs segueing into beautifully lush melodies, wistful strings blossoming out of neo-folk marches. ...and so we destroyed everything encompasses so much more than is typical of the vast array of sounds to have become known as post-rock, ranging from Sigur Ros to Explosions In the Sky to Russian Circles to Caspian and beyond. sleepmakeswaves first appeared on the global stage with their 2008 debut EP in today already walks tomorrow. 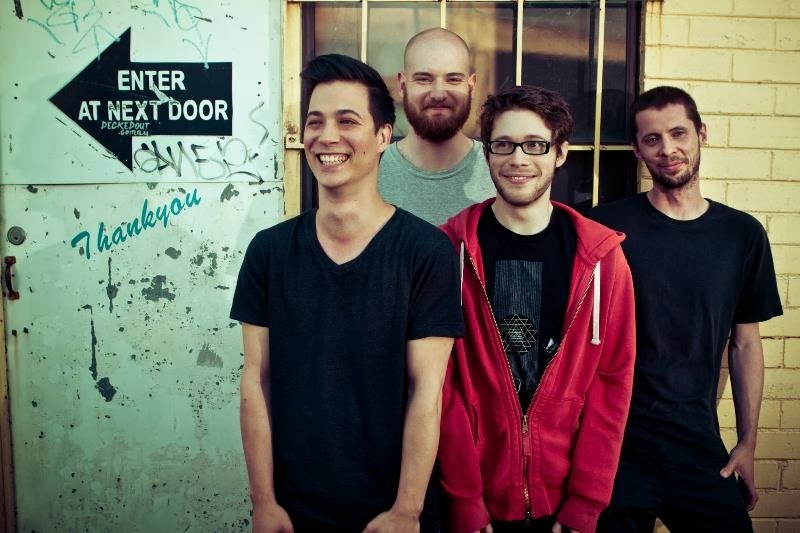 Their current lineup of guitarist Jonathan Khor, guitarist Otto Wicks-Green, drummer Tim Adderley and bassist Alex Wilson have spent the better part of the past 2 years touring the world, including performances at SXSW, Dunk! Festival and touring alongside bands such as Karnivool, Boris,Tortoise and more. They have earned a devoted following around the world, for their innovative and expansive music, coupled with an electrifying live show that has seen them sell out venues across their homeland. Now, Monotreme Records will bring the band's genre-shattering, listener-uniting sound to a wider audience with the worldwide release of ...and so we destroyed everything. The album will be available as a deluxe 2-CD edition including the 9-track bonus disc, ...and then they remixed everything, with album tracks remixed by 65daysofstatic, Kyson, and more, and also as a deluxe 180-gram double gatefold vinyl edition (in three different limited colored vinyl versions, all including a free album CD, a poster and a digital download coupon for the remix album). The album and remix disc will also be available to buy separately as downloads. ...and so we destroyed everything is available to destroy everything everywhere on September 24th, 2013 via Monotreme Records. 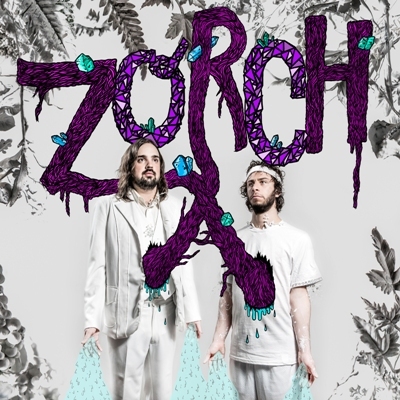 Austin, TX hyper-kinetic duo Zorch have been hand-picked by The Flaming Lips frontman Wayne Coyne to be the first band ever to play the group's Oklahoma City art space, The Womb. Coyne's enthusiasm for Zorch spilled over to his Instagram account this week with several posts about the band. Zorch will perform a portion of Igor Stavinsky's The Firebird Suite in their set per Coyne's request. Zorch also take to the road in October with label mates Tera Melos. Fang Island make it a full Sargent House party when they join the tour on a set of East Coast dates as well. Please see complete dates below. In fittingly maniacal Zorch style, the duo recently played a series of intimate southern house party shows, resulting in a wild video/photo/written tour diary by the band posted HERE. The debut full length by Austin duo Zorch is the end result of nearly 5-years worth of material carefully collected, then shredded, condensed and completely remolded into a solid whole. It sounds like two hyperactively creative minds finding ways to cleverly merge together effervescent synth blips, blue-eyed soul vocals, gang-chant backups, blurting EDM bass lines, frenetic drums, hazy psych-drone and even the proverbial kitchen sink taking leads here and there. Each song sounds like it could've been crafted out of samples from several different decades of pop culture history, though it's entirely the work of two exceptional musicians. Zzoorrcchh was released everywhere on CD, LP and download via Sargent House on July 23rd, 2013. 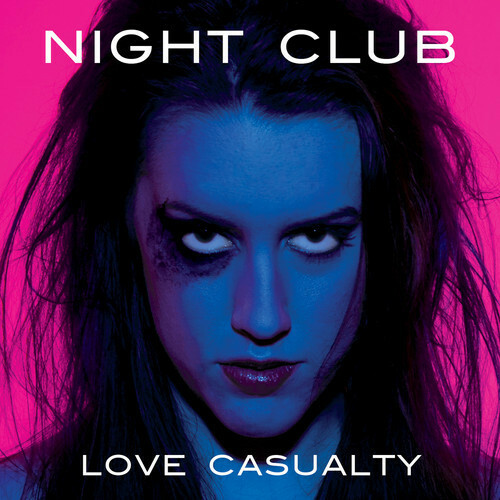 L.A.'s sinful synth-pop band Night Club premiere the second video from their sophomore release Love Casualty today via Los Angeles music hive Buzzbands.LA. 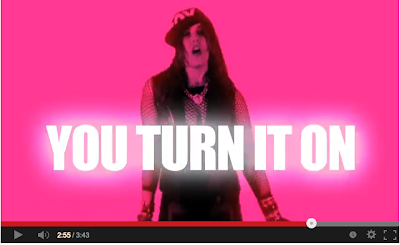 Watch the clip, "Strobe Light" HERE. The entire 5-song set is available for streaming/sharing via Soundcloud HERE and Bandcamp HERE. Night Club play North Hollywood, CA on Saturday, September 14th and Los Angeles supporting Book of Love on October 8th. Please see complete details below. 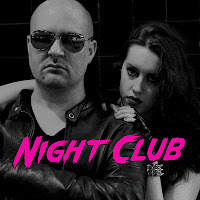 Night Club is the brainchild of DJ/Producer Mark Brooks, former guitarist for notorious 90s noise rockers Warlock Pinchers and current director of TV's "Metalocalypse" as well as director of videos for Slayer, Melvins, Danzig and more. The band is vocalist Emily Kavanaugh's first foray into performing, following in the footsteps of her father, keyboardist for legendary New Jersey band Southside Johnny and the Asbury Jukes. 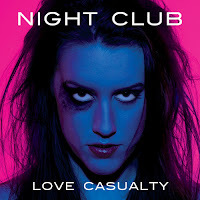 Night Club's self-titled 5-song debut EP and Love Casualty EP are available now via iTunes, Bandcamp and CD via Gato Blanco. 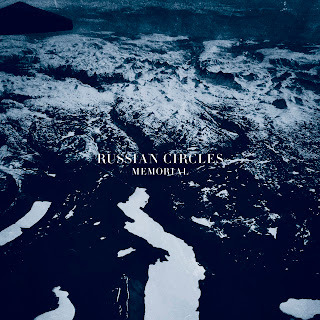 Chicago trio Russian Circles premiere the title track from their forthcoming fifth album, Memorial today via Rolling Stone. The song features guest vocals by label (and tour) mate Chelsea Wolfe. Listen to "Memorial" HERE. 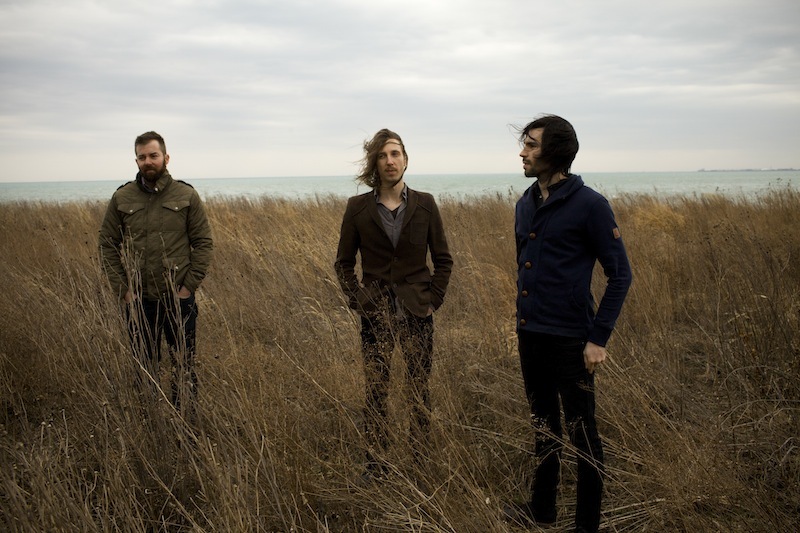 Russian Circles previously debuted the first track from the album via Pitchfork. Listen to the song "Deficit" HERE. (Soundcloud link HERE.) Check out cover art and track listing below. Russian Circles hit the road in the EU and UK with Chelsea Wolfe (who also supplies guest vocals on the album's title track) in October. Both bands will play full headlining sets. Russian Circles will tour North America in early 2014. Please see complete dates below. 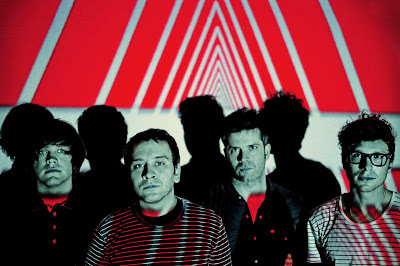 Memorial was recorded at the illustrious Electrical Audio studio in Chicago with the band's longtime producer Brandon Curtis of The Secret Machines & Interpol who also helmed the band's two previous albums, Empros and Geneva. Memorial will be available on LP, CD and download via Sargent House on October 29th, 2013. Tera Melos debut the first track from the forthcoming X'ed Out Remixes EP today via SPIN.com. The song is a reworking of Tera Melos' "Weird Circles" by Jason Bartell of Sargent House label mates Fang Island. Listen/share via SPIN and Soundcloud. Tera Melos also launch Fall tour dates in October with Sargent House label mates Zorch on all shows and Fang Island joining the bill on the East Coast leg. This extensive U.S. trek follows shortly after Tera Melos' current run with Minus the Bear. Please see complete dates below and specific details (tickets, times, etc) HERE. Tera Melos also recently premiered a new video from their latest album, X'ed Out via SPIN.com. Watch the clip for "Weird Circles" HERE (YouTube HERE), directed by Behn Fannin. X'ed Out Remixes EP will be available on limited edition rainbow-sparkle 10" vinyl at shows in October and pre-order via the band's merch store HERE. The EP will also be available for digital download on October 8th. X'ed Out was released April 16th, 2013 on LP, CD and download via Sargent House. 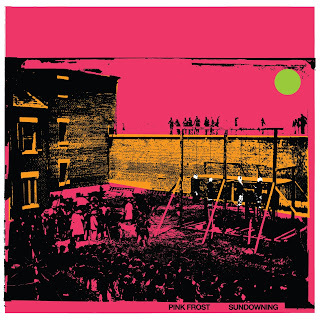 Chicago quartet Pink Frost are streaming their entire sophomore album via SPIN.com starting today. The blistering new album, Sundowning is available to stream HERE. Pitchfork recently debuted the first track from the album. The tune, "Ruins" is available for streaming/download HERE. Or, Soundcloud HERE. 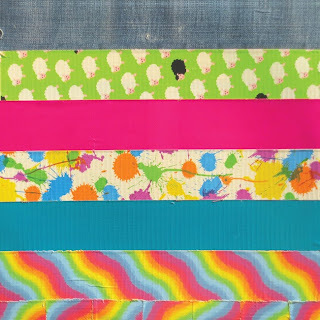 Their debut LP (as APTEKA) Gargoyle Days, made Best of 2011 lists at outlets from Time Out Chicago to the Dumbing of America and this past February saw the release of their first 7" single withe the band's new name. 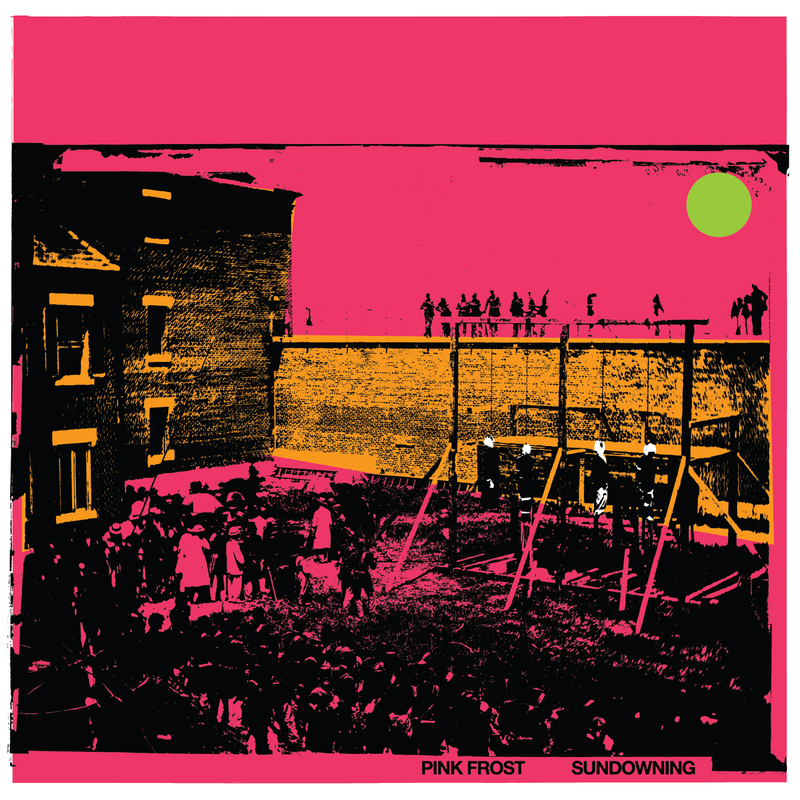 Awash in captivating reverb, swirling melodies and soaring, anthemic refrains, Pink Frost has already generated considerable praise from local press namedropping everything from Ride to Smashing Pumpkins to Dinosaur Jr. to The Men and beyond.